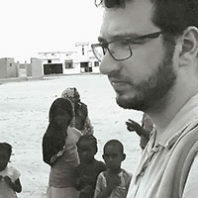 What started as a summer teaching job for Andrew Stephenson evolved into plans to build a kindergarten for underprivileged children in Saint-Louis, Senegal. Stephenson, a senior studying civil engineering at Washington State University, says he fell in love with the area and its people after he taught English there in 2011 through a British volunteering organization called Projects Abroad. “I’ve never seen people so excited to learn,” Stephenson says. The kindergarten project, Foundations for Senegal, began when Stephenson reached out to Fina Senghor, a native of Senegal and a Projects Abroad deputy director, in 2016 to see how he could help Saint-Louis.